Snips and Snails and Puppy Dog Tails: Suzi Blu would be so proud . . .
Suzi Blu would be so proud . . . I've been painting my journal pages! And playing with polymer clay. 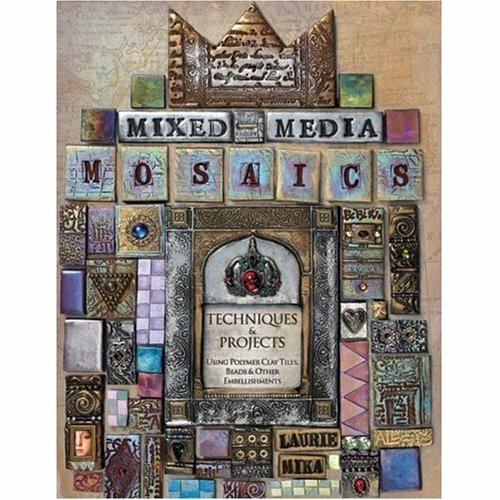 Love Laurie Mika's book Mixed Media Mosaics! This one is a total lift from the sweet and talented Misty Mawn. 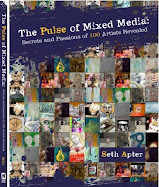 Did you see her page in the Artfest journal in the November/December issue of Somerset Studio (pg. 58)? I've also been making my tags for Silver Bella. Your journal pages are beautiful!! Love the painting of the bird! 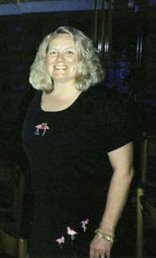 I'm really enjoying visiting your lovely blog! HEY look at you and your journal pages! Isn't it fun to play? Big hug for being so caring of others even me! I love your journal pages! They're so inviting, I can alomost feel them through the computer screen. amazing journal pages! you are so talented! Beautiful - oh such beautiful art on these pages!!! Isn't it completely addicting? 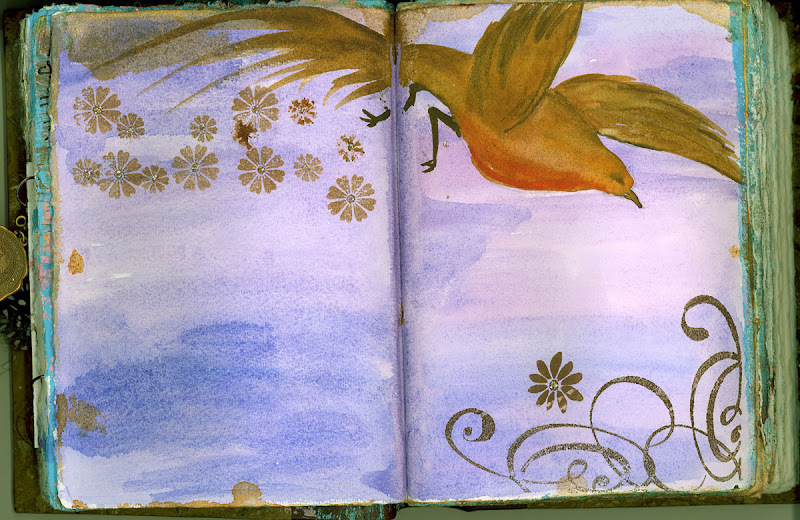 I want to know if you made the journal itself as it looks like watercolor pages, please do tell. I want to try polymer clay, it's my next thing. Right now I am working with that other "stuff" and I'd love to combine them.hmmmmm! Oh look at your journal pages! SOOOO lovely, Leslie! Great work! your work is fantastic, your journal pages are absolutely stunning, the bird one is beautiful. 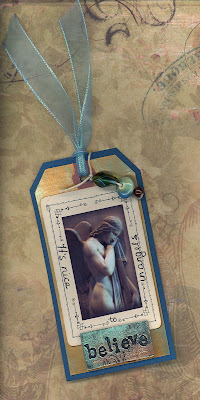 love the tag as well.....fab blog. OH MY GOD that bird is gorgeous, how did you do the gold swirly things is that a stencil or by hand. absolutely divine. and that MOSAIC book, I saw that artist somewhere but didnt know she had a book I NEED IT SO BADLY....so so so so neat I want it now!!! Love them all. They are absolutely beautiful especially the first one. Leslie....this whole post is full of so much beauty. 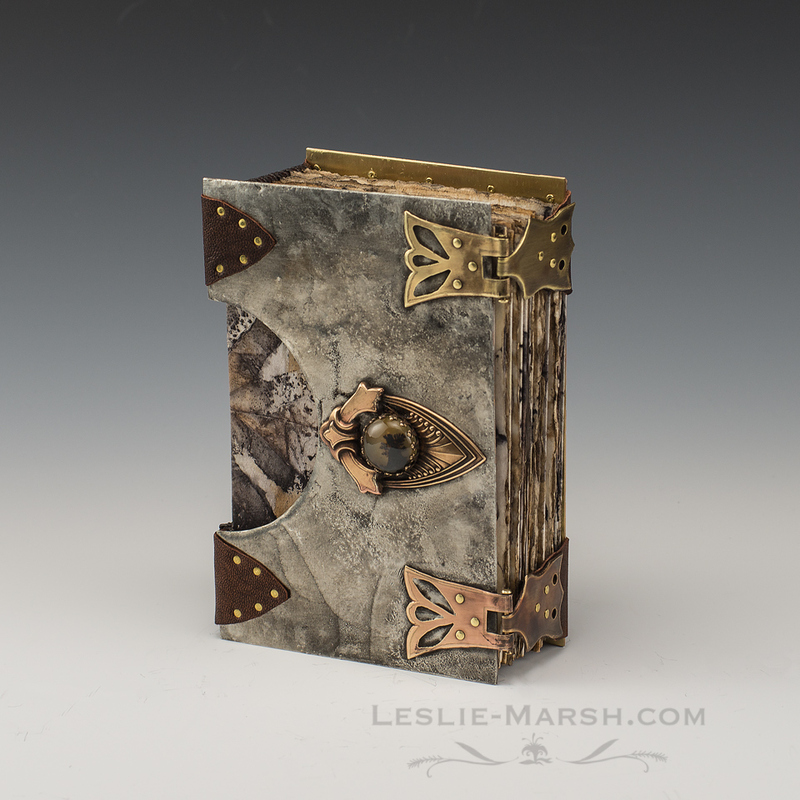 I am loving those journal pages of yours, especially the second one. That one really grabbed me. And the tags you are making are simply stunning...love it! Your painted pages are Stunning! Oh, I just love your journal pages, and those tags.. So precious!!! 1-do you stay awake all night creating? 2-do you cook or send out? what a beautiful treat to have such a lovely journal. the hue of blue is so ethereal. 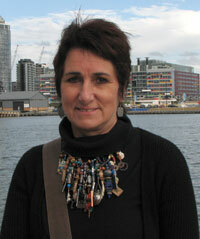 hi...just wanted to stop in and see what sweet sue @ artful adventures was guiding me to. so nice to meet you...beautiful work. I love that sea blue page, the second one. And oh yea, you paint too! I should hang my head in shame about now. Loving your journal pages! Beautiful! Love the journal pages, Suziblu would be very proud. 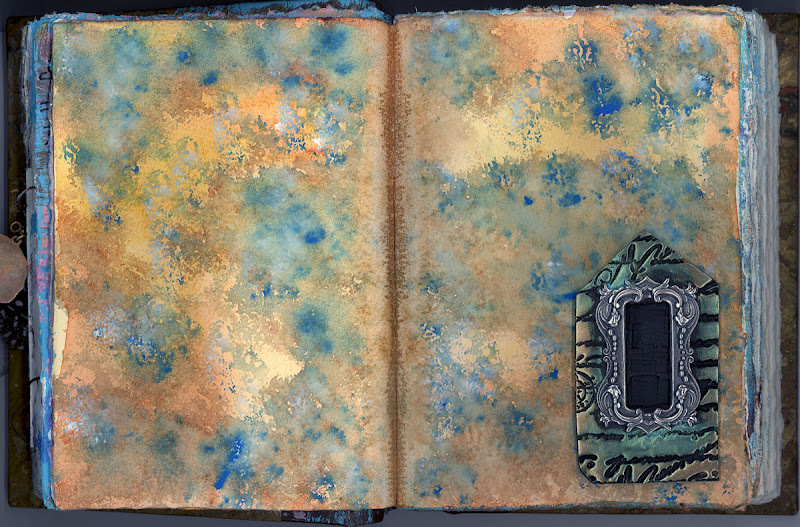 These journal pages are gorgeous! 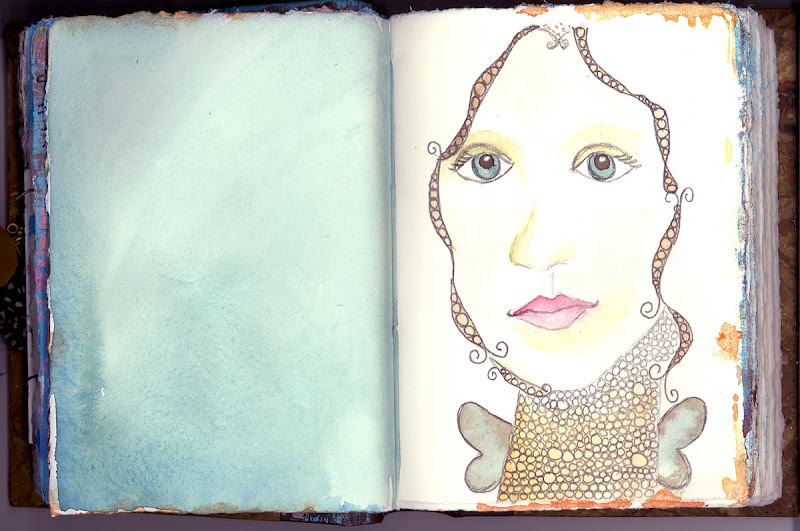 Beautiful sketchbook pages! I especially like the yellow bird flying across the two pages. So lovely. 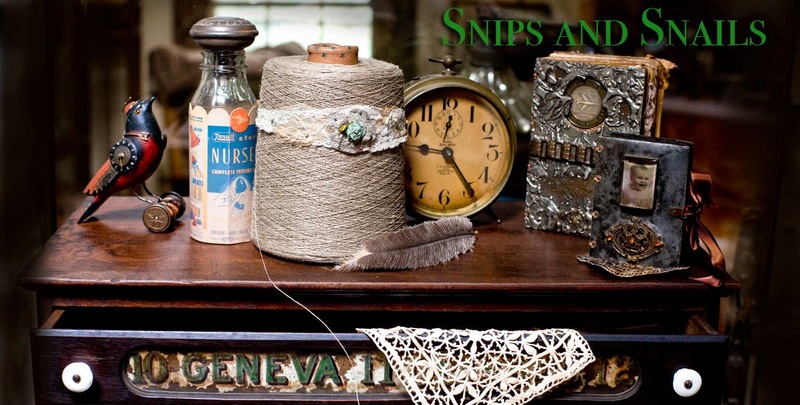 I started looking around on your blog today and I just noticed that you must have been in the same swap as I was in at Silverbella cuz I have this tag and I love it. I just tied it on my "miso pretty" bag this morning. 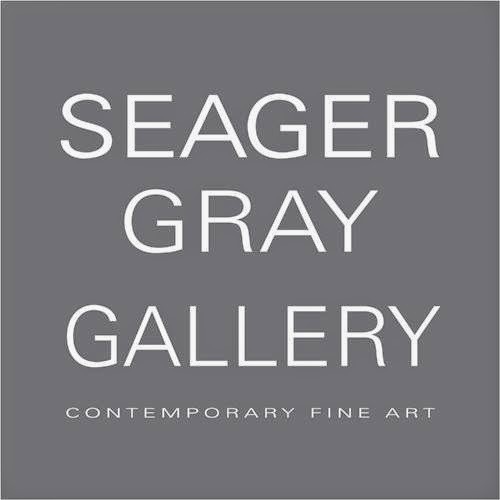 I can't wait for Art & Soul - it is going to be so inspirational!!!!! The Grave Undertaking . . .
Baby shower . . .
What can be done in three days?